Draw a line, get in line, play a line, crossing lines, long line. 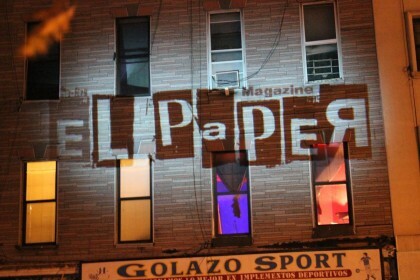 International urban arts and poetry publication eL Paper Magazine is now seeking submissions for its sixth annual issue. eL PaperMagazine’s new project, explores different points of view about cities, states of mind, and the urban landscape starting with a real or imaginary line in the public sphere. Consisting of both exhibition and interaction, the Line Issue aims to activate indoor and outdoor spaces and situations. eL Paper Magazine will receive texts and artworks for the printed issue, and proposals of interventions for the activities we will organize both in Santiago-Chile and New York-USA. 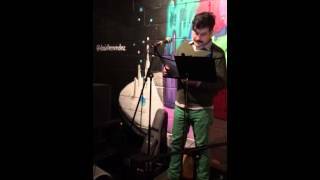 ACTUAL, IMAGINED, OR METAPHORICAL, lines can draw a way of conceiving social and economic problems. The line may be traced by bodies (performance, dance) interacting with public space; it can allude to political protest or stopping an intolerable emotional situation; it can be delineated by drawing or writing text; it can use walking as a way to map the experience of urban geography (interventions, sketchwalks, maps, imaginary floorplans). Or maybe you would want to be overtly political and come up with a new angle or entry point to discuss what a refugee is? Everything counts. Written, walked, danced, drawn, mapped, argued, protested, marked, ‘visible and invisible-ized’, sung, spoken, yelled, magical, mundane, digital, analogue, virtual lines are welcome. ARTISTS should submit up to 5 jpgs no larger than 1000 pixels in either dimension. WRITERS should submit up to 40 lines of poetry or 400 words. 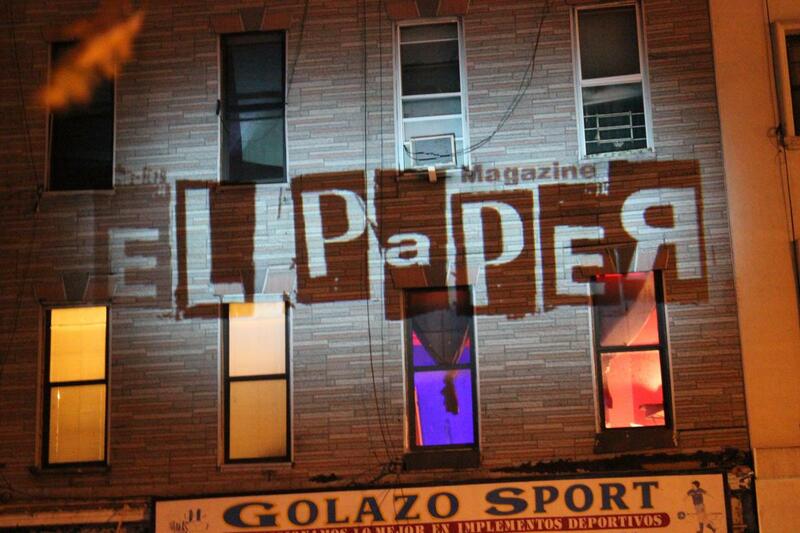 All submissions must be sent to elpapermagazine@gmail.com before November 20th, 2015. Please include a 5-line bio. Selections will be made by a jury panel of international artists and writers. The Line Issue will be released by December/January in Chile and April/May 2016 in New York. eL Paper Magazine is an independent publication with a handmade aesthetic that strives to create an open, creative dialogue between visual artists, writers and the public at large. Each number is organized around a conceptual theme. As working via open calls we solicit from artists who work within a wide sphere of cultural subjects. Our goal is contribute to developing our own public as the magazine develops and grows. We invite different designer-artists to work with us in making the concept behind each issue different. (E)L Paper was born in 2009. Issue #0 was part of the “Alternative Histories” exhibition, at “Exit Art” in Chelsea . Since 2011 we have published three more issues, one per year. The magazine is published by Local Project non-profit for the arts — a forum for the arts based in Long Island City, NY. In these years we have published the work of 100 artists and writers living mainly in NYC, but also in other places of the US or Latin America. We received grants from Brooklyn Arts Council for printing the last two issues, and in 2012 we participated in the NY Art Book Fair in MOMA-PS1, the world´s premier for artists books, catalogs and zines. 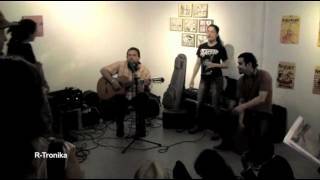 We also have been touring and having presentations at White Box gallery, La casita comunal in Sunset Park Brooklyn, and different spaces in Chile. Also participate at Never Read Art Book Fair in Basel, Switzerland, during the Art Basel week, and to Crack Festival of graphic arts and illustration in Rome, Italy. We also had a big presentation at Open Source gallery and at McNally Jackson Books, Soho, and Human Relations bookstore, Brooklyn. This year 2014, our Editor Elisa Montesinos have been in Caracas producing the first international issue featuring works of Brooklyn artists and writers alongside with the work of artists and writers from Caracas and other parts of US. We would like to continue expanding our magazine to the point in the near future we could serve as an independent publishing and independent record label.